What is it with people?? I seem to be mesmerized by them. But how could you not love this little girl, clinging on to her mom. 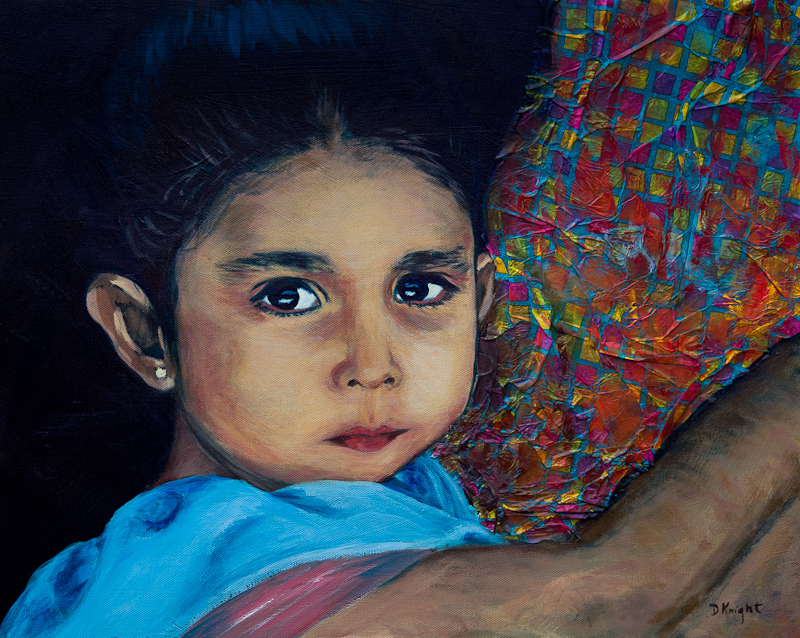 My first painting with mixed media – can you tell the mom’s blouse is colored tissue paper?